Vintage 80s bodysuit in black velvet. Long sleeves, snaps at the crotch. 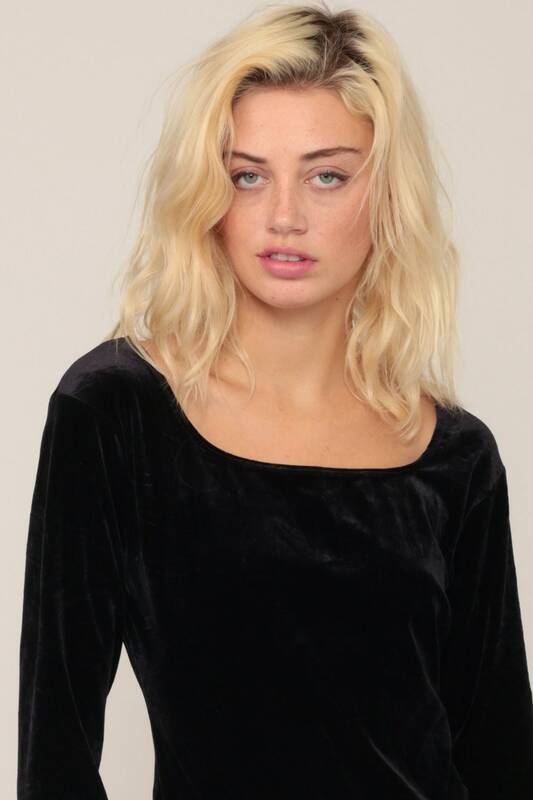 Material: Feels like a stretch velvet bodice with a stretch Nylon bottom.